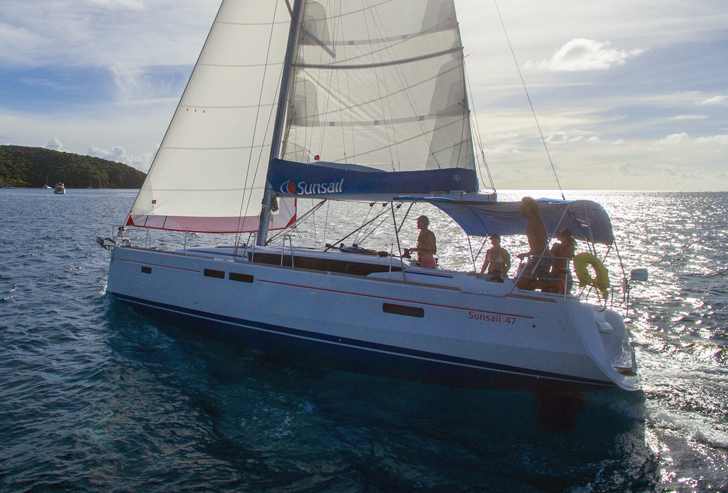 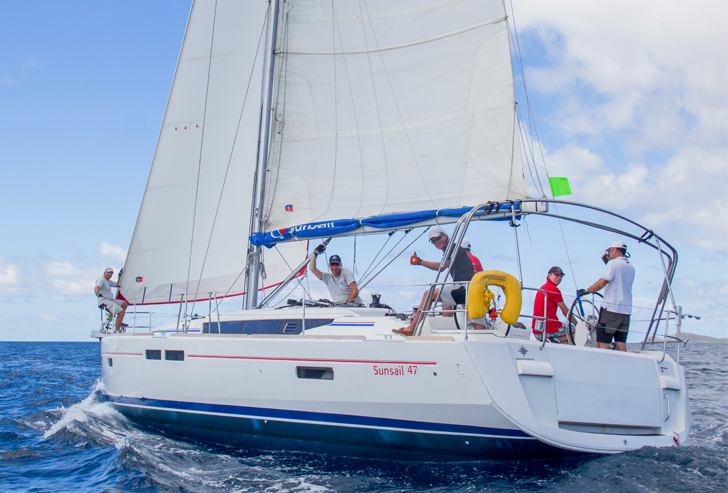 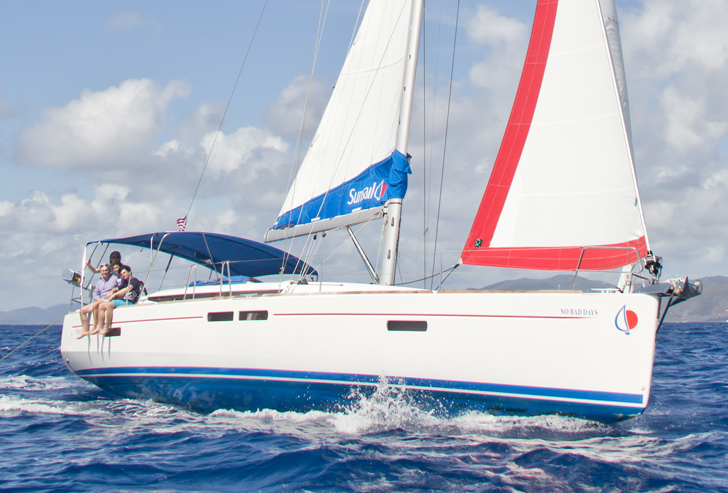 This version of the Sunsail 47 comes in a 4 cabin, 4 head layout and offers a modern high quality cruising experience. 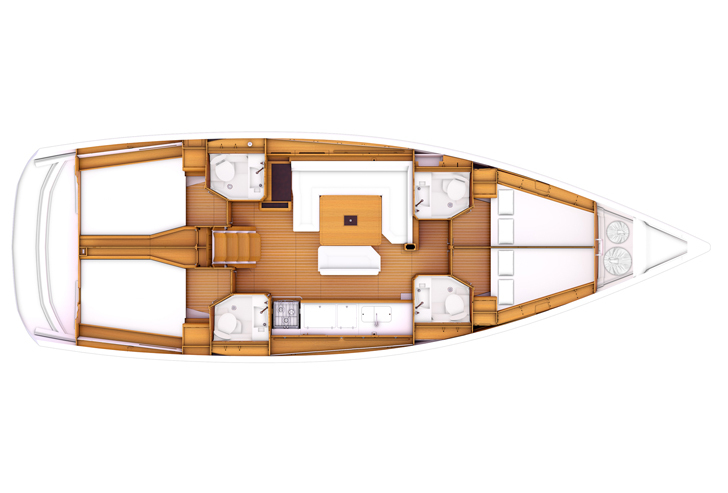 Created by Philippe Briand, she's an elegant offshore cruiser with an exceptional interior and deck plan designed with ease of handling in mind. 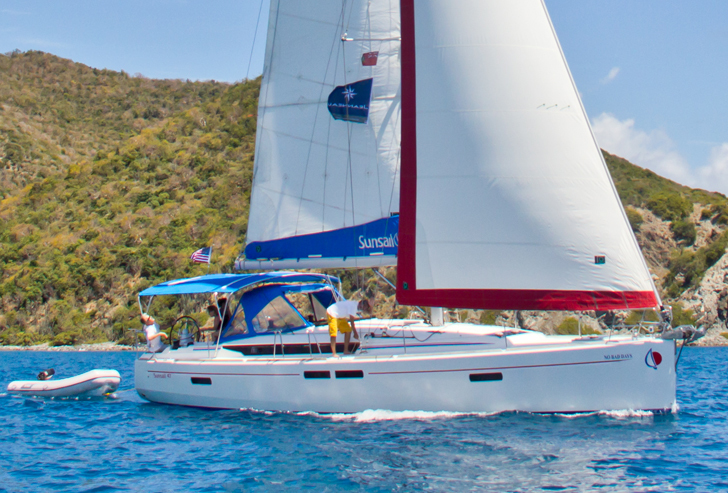 Accommodations feature four en-suite cabins, two forward and two aft making her perfect and private for mixed groups or 4 couples. 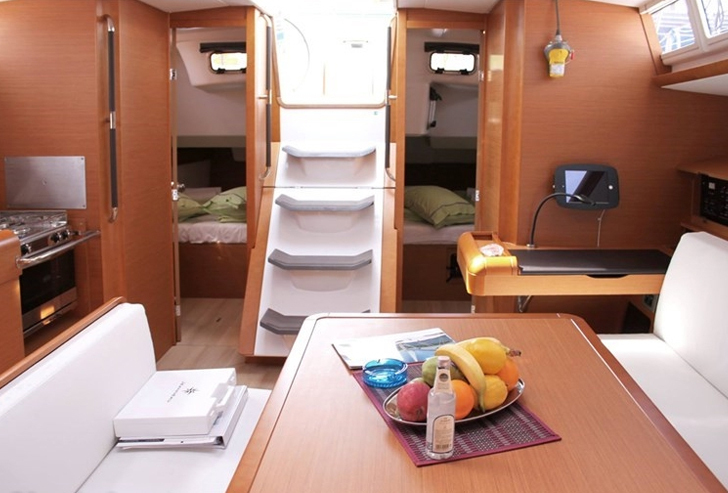 The U-shape saloon seating up to 8 and a linear galley to starboard make for easy movements below. 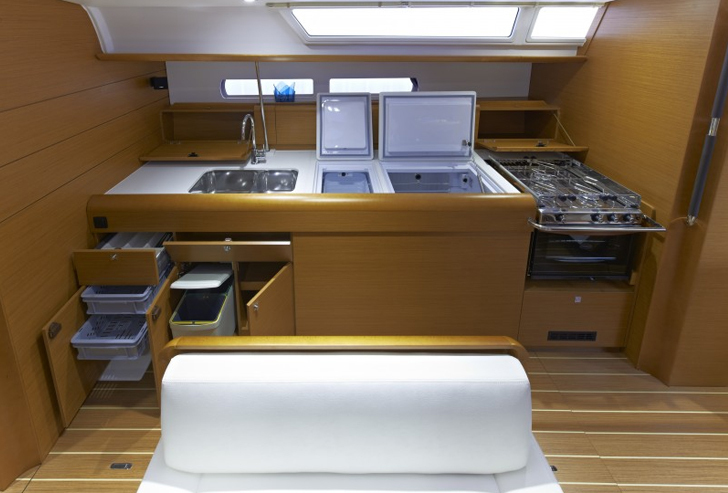 Large ports and LED under lighting brighten up the darkest of spaces throughout. 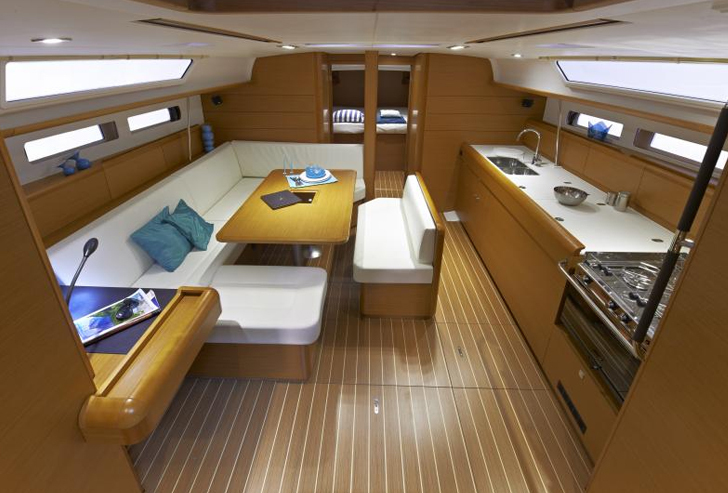 Long flat decks, sleek coach roof with flush hatches and twin helms combine to make for a yacht that demands attention and although the smaller sister of the Sun Odyssey 519 (Sunsail 51) she still incorporates all the same great features of a much larger yacht. 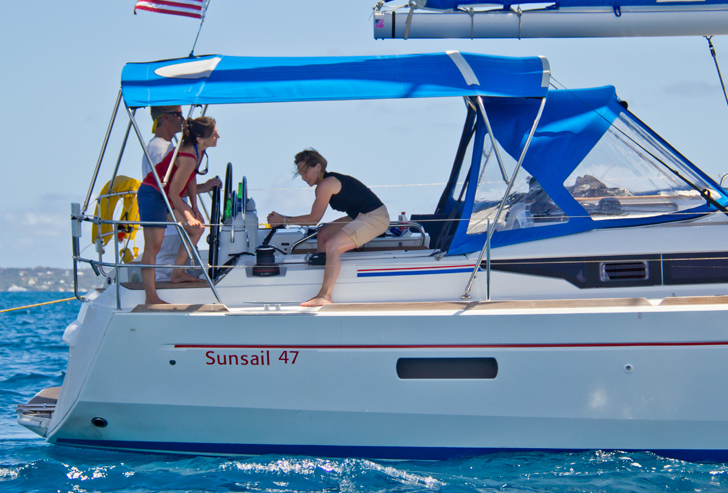 The 479 is a big boat but it’s also an easy boat to handle. 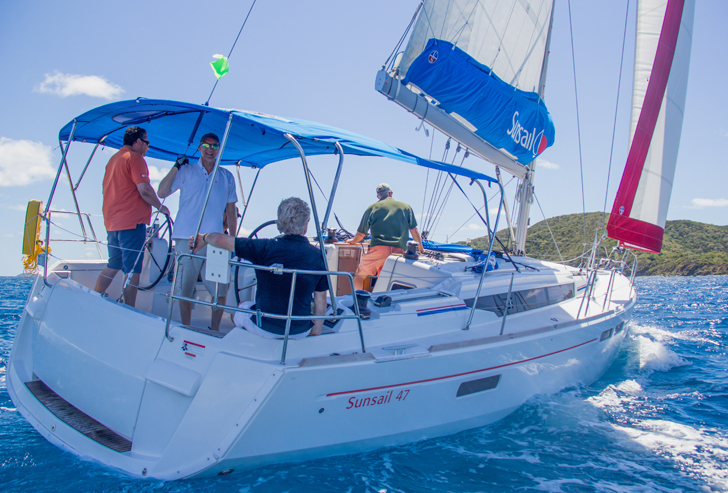 At sail all lines lead to the safety of the cockpit making sailing short-handed less of a worry. 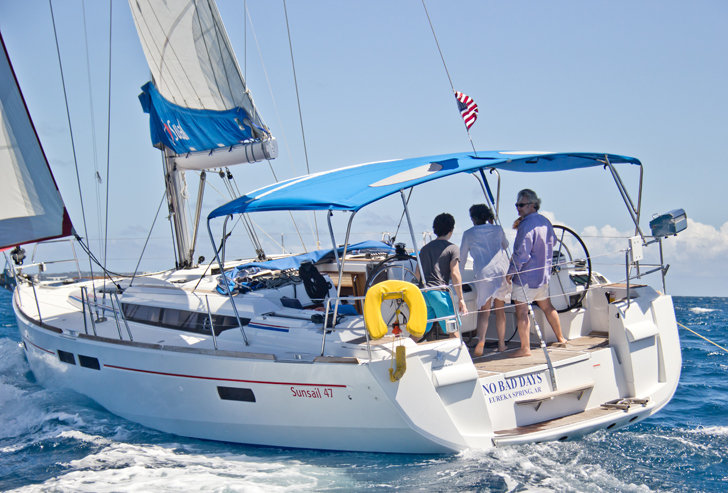 The added bow thruster also makes docking her into port a breeze.